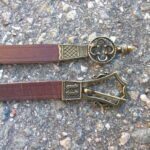 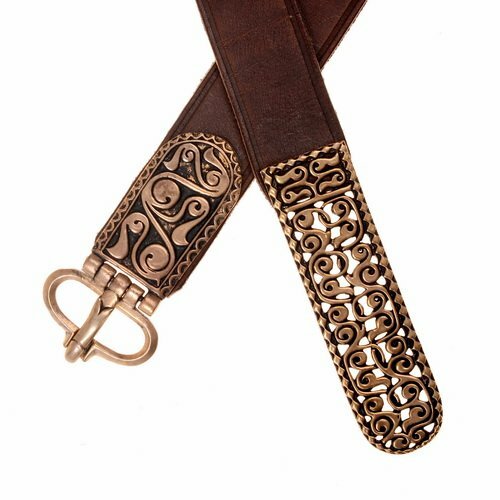 Avar leather belt in 3 cm width. 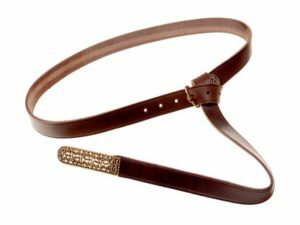 That early Medieval leather belt is made from strong grain hide in brown color and has a faithful bronze buckle replica of the Merovingian period which as made after the Avar model from the treasure of Vrap in Albania, dating to the 7th century. 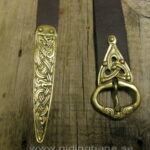 The Avar buckle is made from high quality bronze casting.